Kutch is a traditional embroidery form of Gujarat, a state in India. 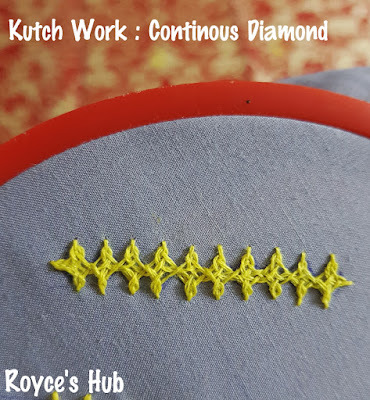 Kutch Work or Kutchi work as known among the locals involves the use of lots of mirrors and cotton or silk thread and is worked on cotton or silk fabric. 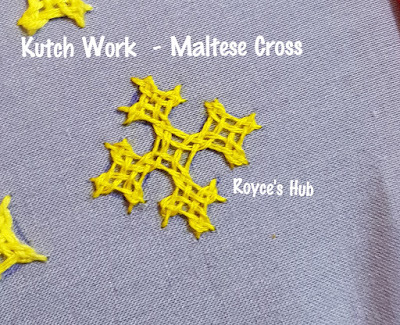 There are different kinds of Kutch Work depending on the materials used and the type of stitches or even patterns used. 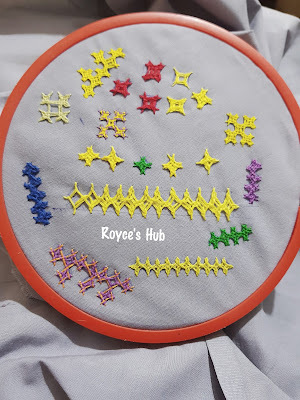 Each type of embroidery is a distinct form involving various stitches and/ or mirror work. 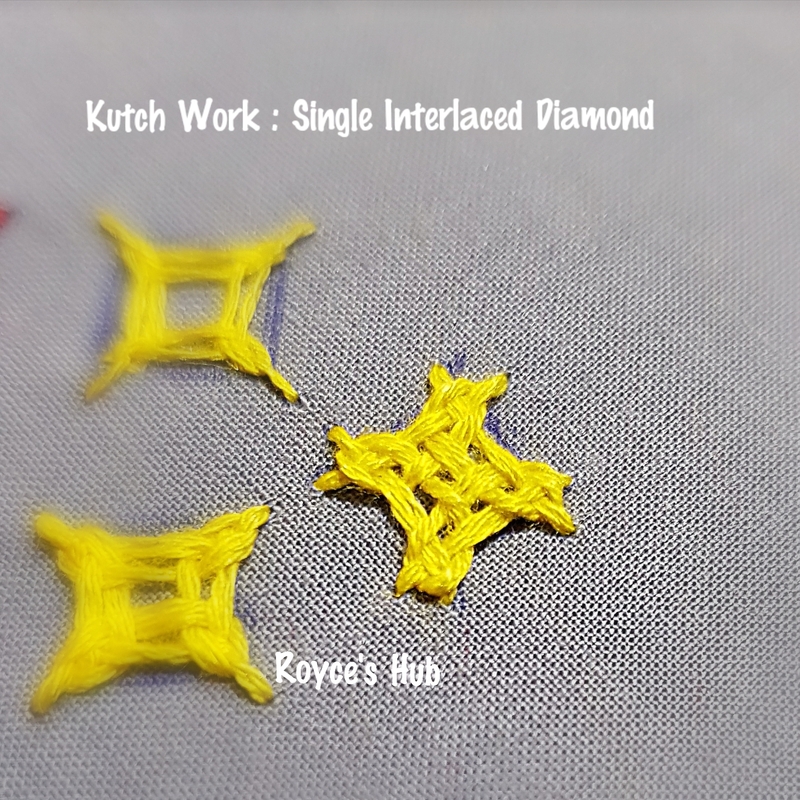 When I started learning Kutch Work few days back, I had thought that it involves only interlacing stitches and mirror work. After much research, now I know that there is more to it. 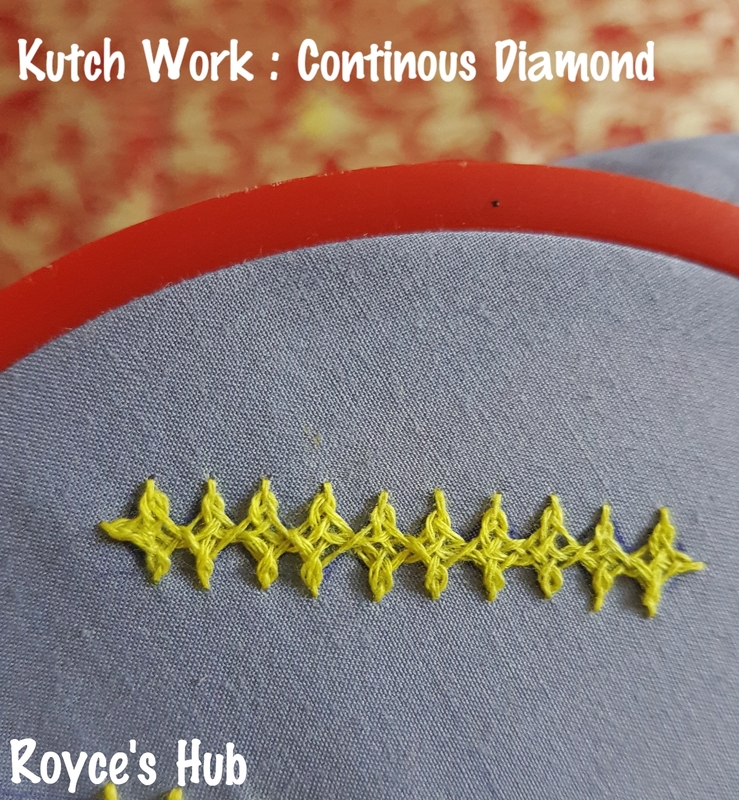 Other stitches that are done in Kutch Work are- Satin stitch, Buttonhole, chain stitch etc. Finally, after some trial and error I succeeded in working few motifs. The perfect single diamond among the lot. This is my favourite.I love the way it looks. This would make an elegant border for any embroidery project. Kutch work is a type of interlacing stitch where in, interlacing is done on foundation stitches. 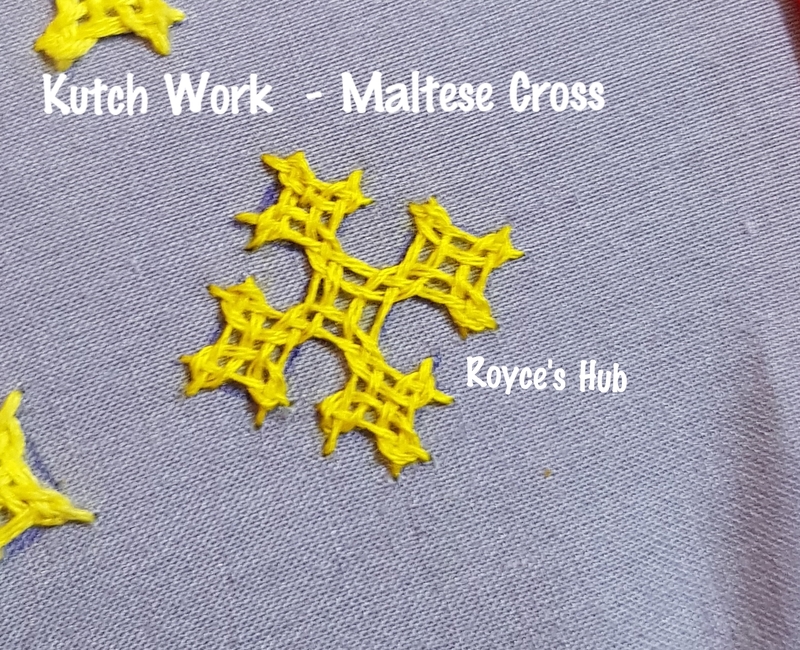 These foundation stitches are similar to either herringbone stitch or cretan stitch. this is so interesting! I'm pretty sure I've seen another blogger who lives in India doing Kutch work but I don't think she explained what it is.